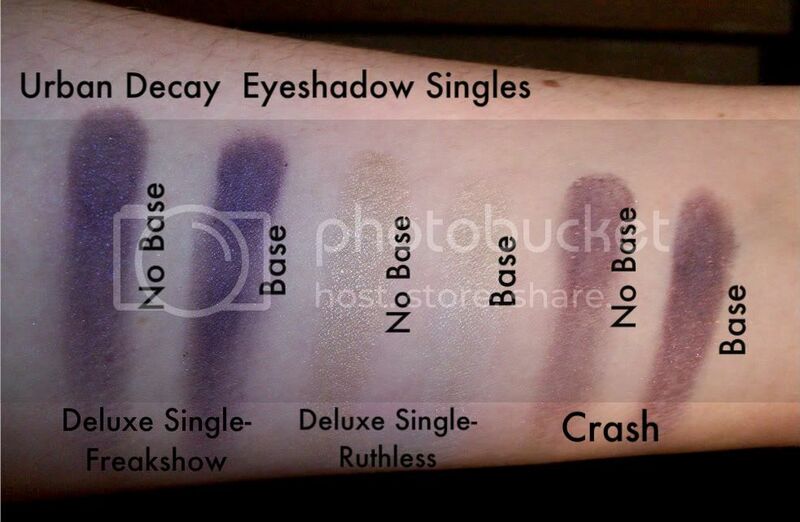 More awesome swatches, brought to you by AlexisAdella. Notes: Gash is a rusty shimmer red. 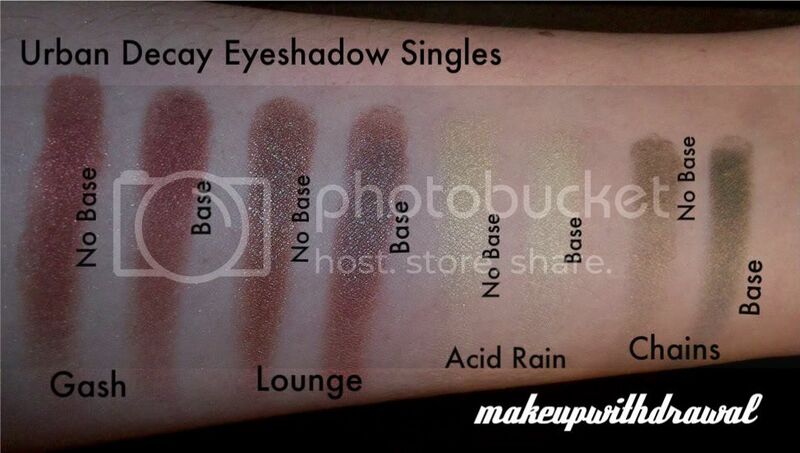 Lounge is a shimmery duochrome- red brown and green. Acid Rain is a light yellow-green shimmer. Chains is a shimmery khaki green with gold undertones. Freakshow is a true dark purple sheen. Ruthless is a neutral taupe champagne shimmer. Crash is a satiny eggplant with micro glitter. Base is NYX Jumbo Pencil in Milk.